This customized wedding bobbleheads depicts the groom in a simple black suit arms around bride, while who is wearing a lance white wedding gown holding a bouquet of colorful roses. Oh, and she is pregnant now. What a happy things in life!!! 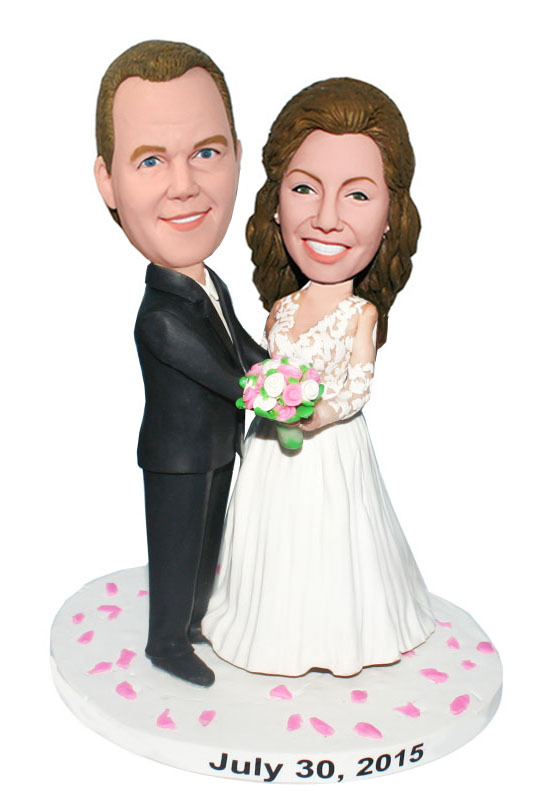 This customized couple bobblehead will make your spouse thrilled, not matter as a wedding cake topper or on valentine's day or on the wedding anniversary. No need to hasitate, it's important to show you love and make him/her have a big laugh.